This is my talk page. Feel free to comment here if you have questions, suggestions, or need help. Replace "Title of discussion" with your discussion title and "Your discussion" with what you want to say. 7 Completed My First Entry! Hello, I added references as requested. The Paris Open Source Summit link doesn't show much for some reason right now, I guess they have a problem; but on this page there is a scheduled talk about this fork by INRIA. Also since we have change become much more international we are now known as Autoscribe Informatics not Autoscribe Ltd. Would you be able to help me move the page to "Autoscribe Informatics" and redirect "Autoscribe Ltd." and "Autoscribe Ltd" to "Autoscribe Informatics"
Hi Shawn, Would you be able to update the Autoscribe Informatics logo on the LHS column please? I've updated the one on the Autoscribe Informatics page but cannot get to the sponsors logos to update that. Thanks Tim. Thanks Shawn and everybody for all the work and contributions so far. I'm getting value out of the wiki already and am looking forward to more complete content. There is some great information here so far and the wiki is looking very promising. I wasn't aware of many of the wiki standards when I started posting, so have posted a lot of non-standard content, but I'm going back and cleaning them up and now I know better when adding new content. There are some neat Youtube videos that I'd like to embed on the chemical industry page. What do you think about turning on the raw html feature? Too risky from a security perspective? I sent a message to John about embedding video in the wiki, specifically in regards to an EmbedVideo extension. However, he indicated that the security concerns were enough for him to rather go with links to videos. (This was in context to the open-source software articles I was working on.) I assume a similar suggestion to John about opening up HTML would result in the same response. There seems to be a more secure option involving hashes and secret keys. That's a little out of my league, but it could be an option if you feel embedding video via HTML would truly enhance the article. Feel free to point John to this extension if you think it's worth a look. I just wanted to tell you, that it seems that my wiki entry is completed on my sandbox. I am finally getting around to some substantial editing and creation of pages on LIMSWiki that will add new information or correct outdated or inaccurate information related to Lab-Ally, Rescentris, CERF ELN and RSpace ELN. I’m performing these edits under the username “invasifspecies”. I don’t have the slightest interest in contributing anything other than well sourced, accurate information using language that is as neutral and “spin free” as possible. You are welcome to look at any of my edits and call me out on anything that you think is not stylistically compatible with your guidelines. I made some edits there December 19th 2016, let me know if you think any of them are inappropriate. I will soon be making pages for CERF ELN RSpace ELN and eCAT. Naturally I will make them as objective as I can. 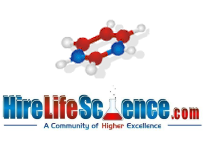 Rescentris, Inc.	CERF	United States	Was absorbed into irisnote, Inc. then Lab-Ally LLC. See Rescentris entry for more history. hello Shawn, I sent you an email. Just letting you know, in case you don't check the mail that frequently. This page was last modified on 6 September 2018, at 13:04.